Tissue Culture gives botanists and plant lovers a chance to grow hundreds or even thousands of their favorite plants, especially the ones that are unique. Plant tissue culture is a technique known as micropropagation which can produce plant clones through a specialized process of growing plant cells, organs and tissues under strict sterile conditions. Plant cells taken from intact plants are grown in isolation and put into a culture system to make them grow appropriately. 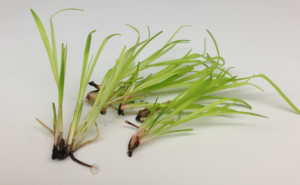 The best thing about plant tissue culture is that you can regenerate an entire plant from one or more plant cells. You can practically get these cells from just about any part of the plant, such as the leaves, roots or stems. But they have to be nurtured in a controlled environment by being given the necessary plant hormones and nutrients. Plus the original plant must already be healthy without any signs of decay or disease. Otherwise you would just be duplicating a diseased plant. That is why the best time to take a piece of the plant for micropropagation is when it is still young and actively growing. If you use younger plant tissue then it will have more active cells which will increase the likelihood of success for this procedure. There are many reasons why you would want to duplicate plants that already exist. For one thing, if you have plants that produce jumbo size fruit or possess other desirable traits then you will want to duplicate these plants as much as possible. More about plant tissue culture, it also comes in handy when you don’t have any more seeds to grow plants from scratch or pollinators to create new seeds. Instead you can use this system to regenerate an entire plant from the cells taken from plant tissue. This is very similar to cloning living organisms, except this is for cloning plants. There are many nurseries and individual plant growers with their own laboratories for producing crops through plant tissue culture. If you research the Plant Tissue Culture Information Exchange then you will find a list of commercial labs that are suitable for producing viable crops for consumer use. The world is seeing a vast decline in farming and agricultural land. The food supply of the world is decreasing and the number of people needing food is increasing. If future generations are ever going to have a fair chance at eating healthy foods that come from plants then the only way to ensure this is that more people know about plant tissue culture.